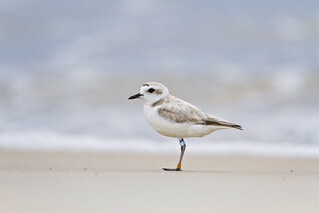 These birds are banded to track where they arte moving too and breeding at. populations are low, but they are not threatened yet. I plan to look up the banding authority for Alabama and report this bird so we can find out what its doing.